Today Beadsaholic brings a little inspiration with Trollbeads beach themed beads! It’s been a hot summer here in the south and I’ve been longing to be at the beach, but right now that’s not possible. So, when you can’t visit the beach, why not create our own beach theme to give us the feeling of being beach side or to remember past trips by the ocean. Trollbeads has the perfect beads to create such a bracelet. I recently bought this new blanket that has seahorses, coral and seashells in beautiful shades of coral, blues and browns which was the inspirations for my glass bead choices. Silvers are a mix of the new summer release and a few from previous releases over the years, all are still available. Now for some close-up photos of each section of the bracelet to take a closer look at the beads. Starting at the beautiful Trollbeads Crab Lock! All photos are property of Beadsaholic, please credit when saving and sharing. List of Trollbeads Starting at the end top of photo below. Over all, the shell beads from the summer collection are fun to create with and are perfect for a seaside bracelet. If you would like to shop for any of the beads used in this composition, then you may visit any of the links below to shop. 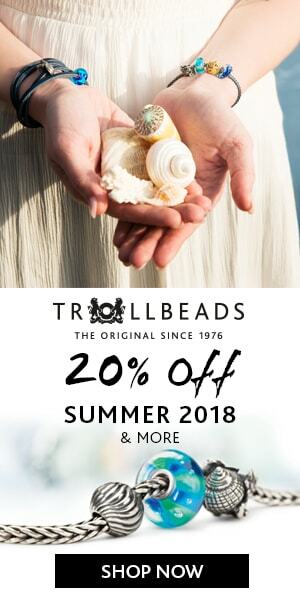 Please note that the Trollbeads USA banner is an affiliate link and only ships in the US. All featured retailers ship world-wide and retailers in Europe offer vat free shopping. It is promo time in the USA! When you spend $150+ you will receive a FREE Bead Stringer (expires 8/6/18). Available at Trollbeads USA and Trollbeads Gallery. What beads are on your seaside bracelet? Which ones are on your wish-list? As always, I love hearing from you all, so please feel free to leave me a comment below. 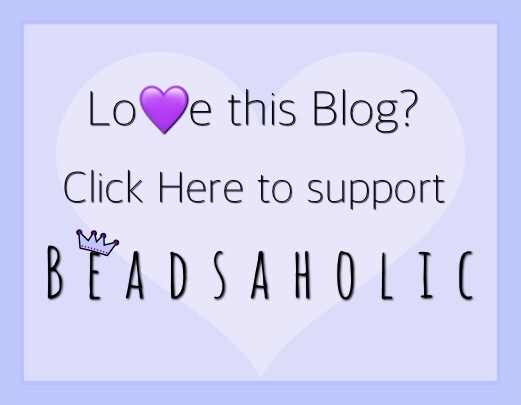 ← True Beadz Stronghold Exclusive at Beads Fanatic!